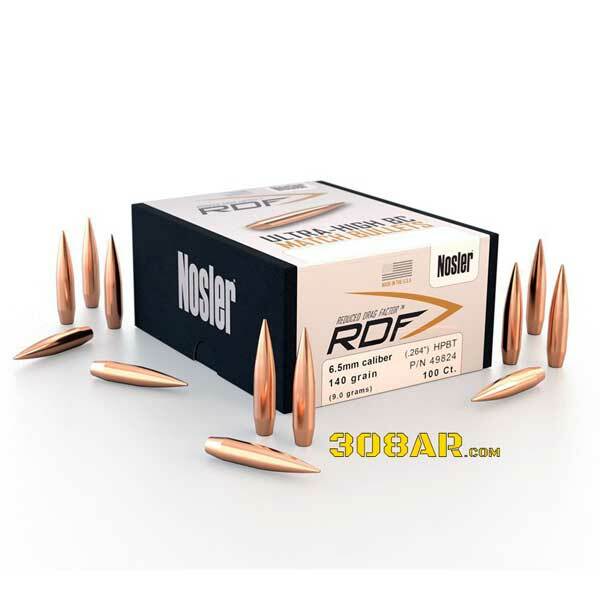 6.5 Creedmoor is a modern short action rifle cartridge that brings competition level bolt action accuracy to 308 AR, AR308 and AR-10 based rifles. The .308 Winchester cartridge is unquestionably the most popular short action rifle cartridge to date. 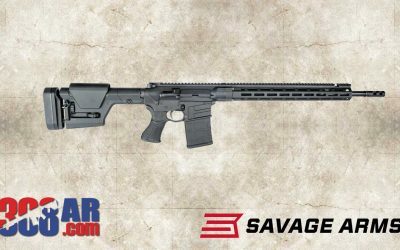 It performs well in the hands of hunters, soldiers, snipers and competition shooters. It’s near identical sibling 7.62x51 has been designated 7.62 NATO. The .308 does a lot of things very well but it’s not perfect. The .308 Winchester was brought to market in 1952. This means as I write this page the .308 Winchester rifle cartridge is 65 years old. Consider how much technology has changed in that 65 year period. Watching “I love Lucy” on a black and white tv has been replaced with watching “The Walking Dead” on a 4K OLED. Directly speaking to humans in person has been replaced by social media text messages. These powerful electronic devices are referred to as computers. 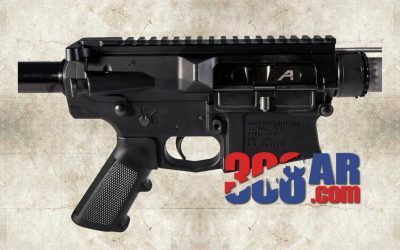 These computers have made all sorts of amazing things happen such as letting middle aged men have a website devoted to their favorite weapon platform the 308 AR/AR 308 and more importantly these computers have allowed for purpose designed ammunition to be created. One such ammunition is the 6.5 Creedmoor. 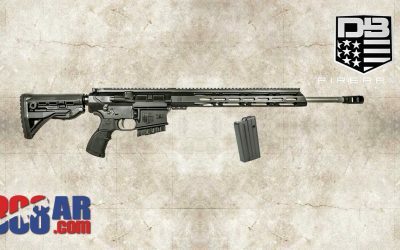 If the .308 Winchester was designed for many shooting applications the 6.5 Creedmoor is the polar opposite. The 6.5 Creedmoor was designed by Hornady for one specific purpose. That one purpose is competitive rifle shooting. In 2007 Hornady released the 6.5 Creedmoor to the shooting public and among competitive rifle shooters it’s popularity has been growing ever since. The 6.5 Creedmoor is a top choice of precision rifle competitors and hunters looking for the optimum AR-based extended range rifle cartridge. 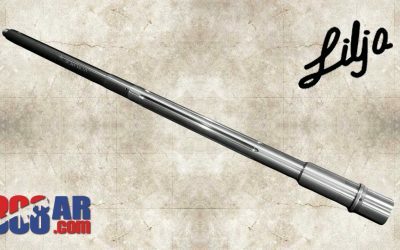 It makes ultra long range shooting an easy proposition and offers similar long range trajectories to a .300 Winchester Magnum with less felt recoil than a comparable .308 AR rifle. The high ballistic coefficient bullets loaded in the 6.5 caliber make this downrange performance possible because they have less wind drift and more retained energy than a comparable .30 caliber bullet at 1000 yards. When seeking the best extended-range shooting or hunting performance in an AR 308 platform rifle the 6.5 Creedmoor is the logical choice. 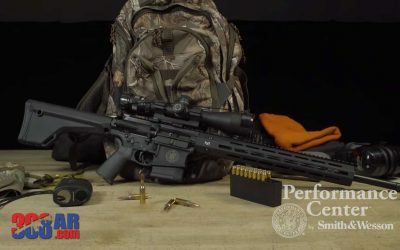 With a wide variety of quality factory ammunition available and .308 AR magazine and receiver compatibility, the 6.5 Creedmoor is in a performance class by itself. The 6.5mm (and 6mm) bullets have found their way into many benchrest and wildcat rifle calibers over the years. There is very good reason for this. The 6.5mm long and thin bullet design is inherently accurate. This slender design allows the bullet to slice through the air with less friction and wind drift over typical bullet designs. The design of the 6.5mm bullet with proper propellants enables the bullet to travel with a fairly flat trajectory. These are critical features when shooting at extreme distances. Why Choose 6.5 Creedmoor Over .308 Winchester? Why Choose 6.5 Creedmoor Over .308 Winchester? The answer is simple. At this time the 6.5 Creedmoor is one of the most accurate long range mass produced rifle cartridges available for the AR-10, 308 AR and AR 308 platforms. If group size at 1000 yards in an AR is important to you the 6.5 Creedmoor is the best choice. 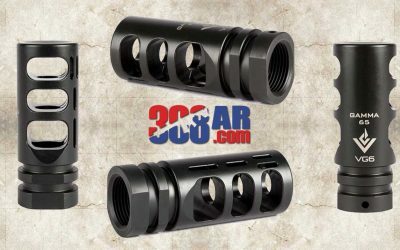 If throwing a bunch of inexpensive lead down range is your idea of fun stick with the .308. Lighter recoil and higher hit probability. Whats not to love? I was born with a Remington 760 .308 in my hands. Through inheritance I had that rifle before my first .22. It’s not easy in fact it’s a bitter pill to swallow that the new kid on the block the 6.5 creedmoor in many ways is superior in performance to my beloved .308 Winchester. 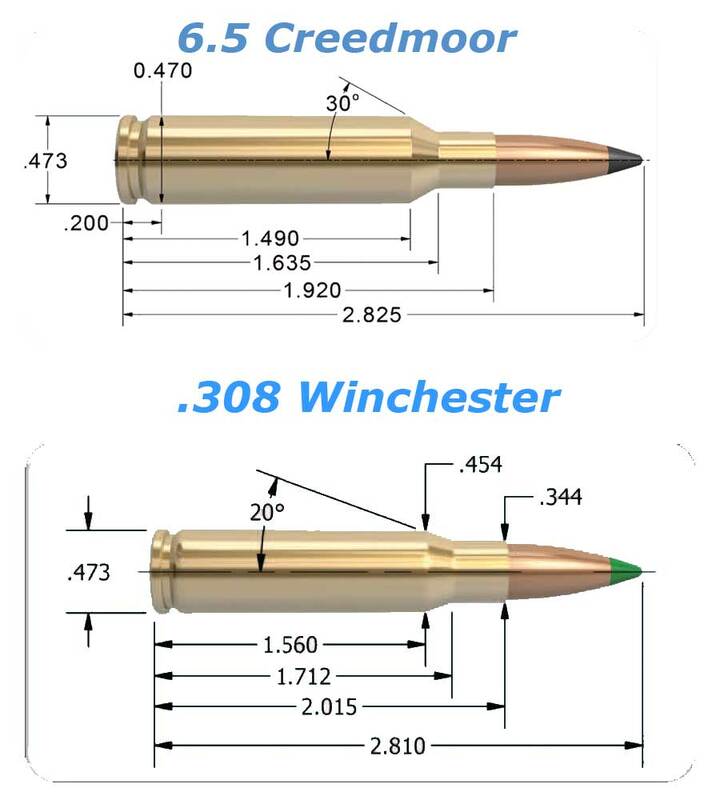 In fact in many ways a more fair comparison would be against the 30-06 and 300 Winchester Magnum. Fortunately there’s room in my safe for all of them. As I write this we are beginning to see several manufacturers bring 6.5 Creedmoor to market. In most examples these rifles are setup for competition, benchrest and prone style shooting. 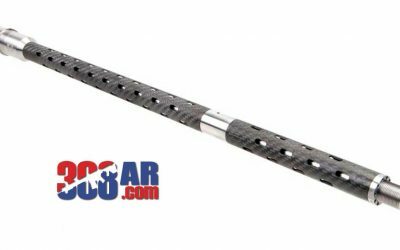 They feature fixed stocks, long heavy barrels and muzzle brakes. Currently by most accounts the JP LRP-07 seems to be the most accurate. 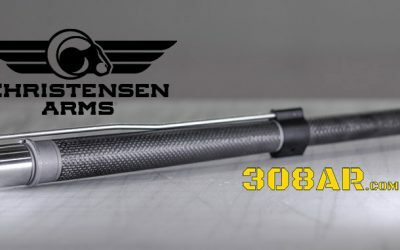 At half the price of the JP we have entries from Aero Precision, Smith & Wesson, Wilson Combat, Savage, Seekins Precision and Fulton Armory to name a few. 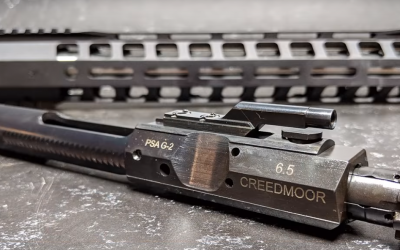 Whether you want to build a rifle from scratch or upgrade an AR you already own the conversion to 6.5 Creedmoor is in most cases a simple barrel swap. Two extreme choices are the Proof Research Carbon Fiber and our favorite from our friends at Criterion Barrels. During a briefing earlier this week at the NDIA Armaments Congerence in Fredericksburg, Virginia, COL Samuel Ashley, the DCS G8 for the US Army Special Operations Command, discussed a current initiative to identify a Precision Intermediate Caliber ammunition from within the 6.5mm family. 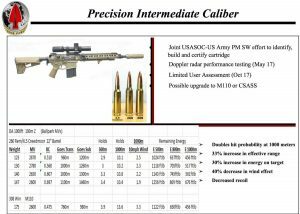 In this joint effort between USASOC and PEO Soldier’s PM for Soldier Weapons, they will test 23 different cartridges in 6.5mm Creedmoor and .260 Remington later this month, using the Army’s 2000m Doppler RADAR equipped range, at the nearby Aberdeen Proving Ground in Maryland. Based on this research, they will conduct a user evaluation of the selected cartridge, in October. 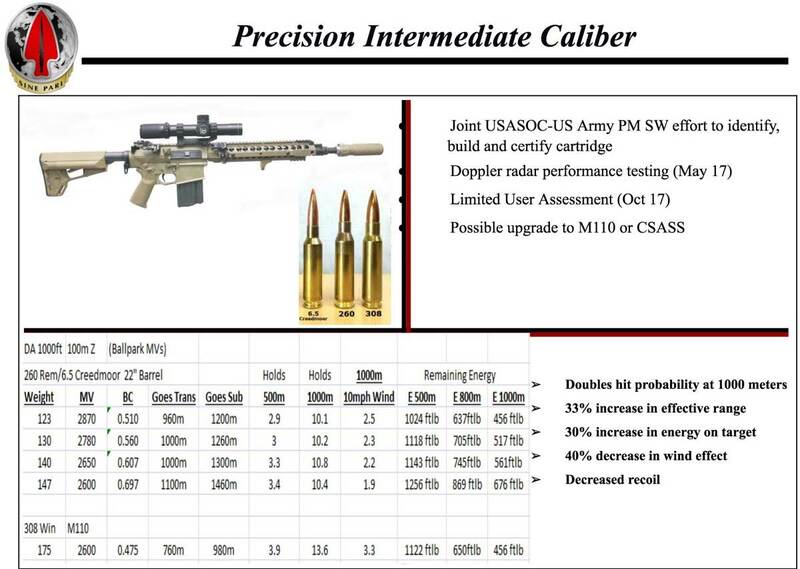 This is a very fast paced effort which aims to identify a 6.5mm family cartridge for integration into a USASOC requirement for a new semiautomatic sniper weapon. It will also give others a leg up in identifying a viable option for an intermediate caliber. USSOCOM briefer, LTC Mark Owens, PM for Ammo, Weapons and Visual Augmentation Systems supports the efforts of SOF components like USASOC, and added some additional insight into where the ammunition selected from the USASOC study might go. He mentioned that in FY18 we should see the development of a 6.5mm Assault Machine Gun which would result in the fielding, soon thereafter, of an Intermediate Caliber Assault Machine Gun. The cartridge decision will also lead to the fielding of an Intermediate Caliber Sniper Rifle/Carbine in the years FY19-23.